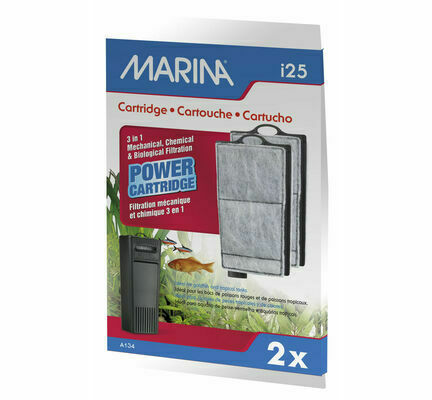 The Marina i25 Replacement Power Cartridge is made specifically to fit inside the Marina i25 internal filter. 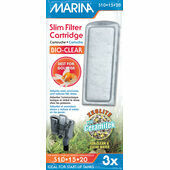 The 3 in 1 system of mechanical, chemical and biological filtration has a unique design that allows the water in your tank to enter through the centre of the cartridge. 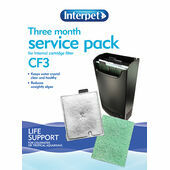 The filter is split into two different chambers; the water enters the first chamber (the zeolite chamber) that removes toxic ammonia. It then enters the activated carbon chamber to remove all pollutants and odours. Finally the water enters the floss layer which traps any debris inside the cartridge. This unique flow of water results in crystal clear water. For best results replace every four weeks. 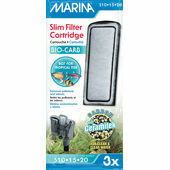 Ideal for Goldfish and Tropical tanks. Speedy delivery, kept well informed of order progress. Will definitely be using again. 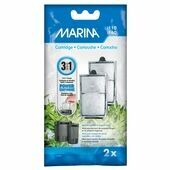 After several unsuccessful (but obvious) attempts to tell our owner that we were really not happy with the quality of our water, she at last decided to get a lovely new Marina i25 filter. 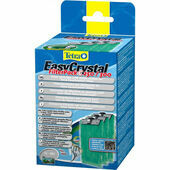 The problem was she couldn't get hold of replacement cartridges. Back to terrible water conditions. Until - she found The Pet Express Website. The cartridges were much cheaper than anywhere else and the delivery price was less than the bus fare into town. Within a few days of ordering online we had our new cartridges. Yippee! 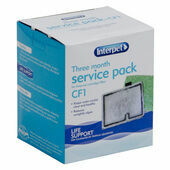 Thanks to Pet Express we are happy bunnies - sorry goldfish - again. 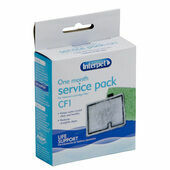 I would just like to thank The Pet Express for their super speedy service. 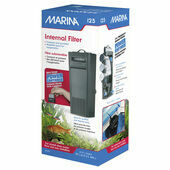 I have been trying to order replacement cartridge filters for the Marina i25 for several weeks now. Even the local Pet Store has orders from their two main suppliers for me but to no avail. 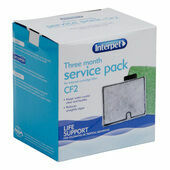 So thanks once again for your excellent service. 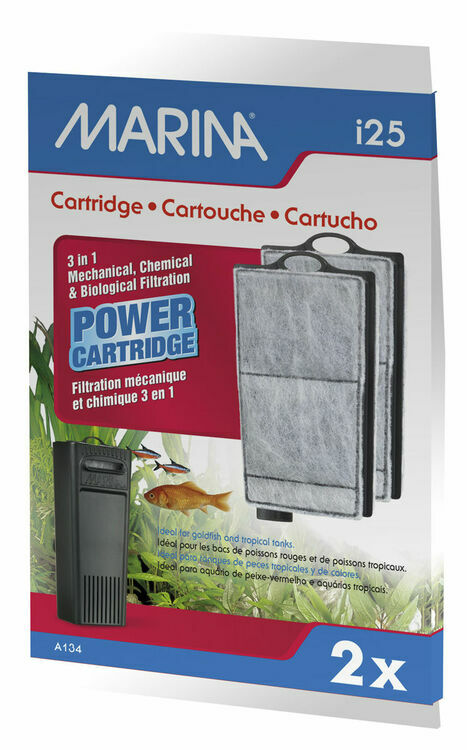 The Marina i25 cartridge filters the waters through three chambers to provide a cleaner biological environment for your fish. 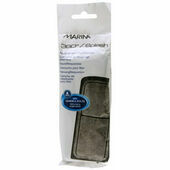 The Marina i25 itself is not really a powerful device but adequate for up to 22 litres of water.